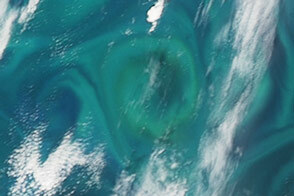 On January 19, 2014, the Moderate Resolution Imaging Spectroradiometer (MODIS) on NASA’s Aqua satellite captured this image of a bloom of microscopic organisms off the southeastern coast of Brazil. 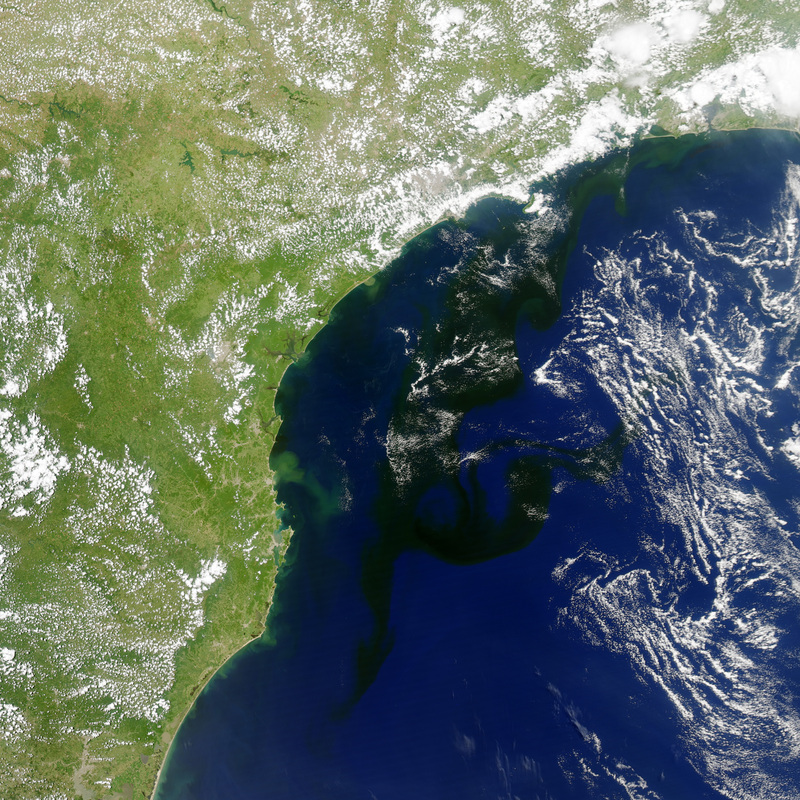 Note how the waters of the South Atlantic are darkened in patches stretching as much as 800 kilometers (500 miles) from south to northeast across the continental shelf. 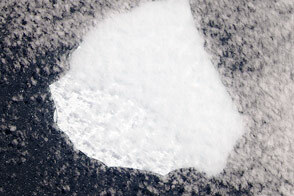 In the image, the puffy strands of white over the sea and inland are clouds. 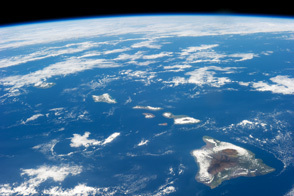 NASA Earth Observatory image by Jesse Allen, using data from the Land Atmosphere Near real-time Capability for EOS (LANCE). Caption by Michael Carlowicz, with interpretation from Aurea Maria Ciotti, Universidade de SÃ£o Paulo, and Norman Kuring, NASA Ocean Color Group. 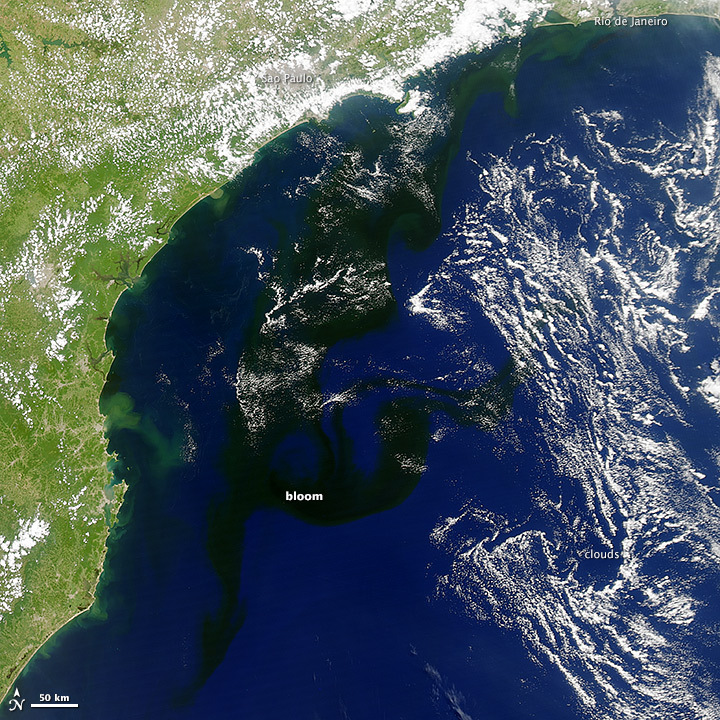 A NASA satellite detected a darkening of the water off the coast of Brazil. Early indications suggest it is a bloom of an unusual species of protist. Crawford, D.W. (1989) Mesodinium rubrum: The phytoplankter that wasn't. 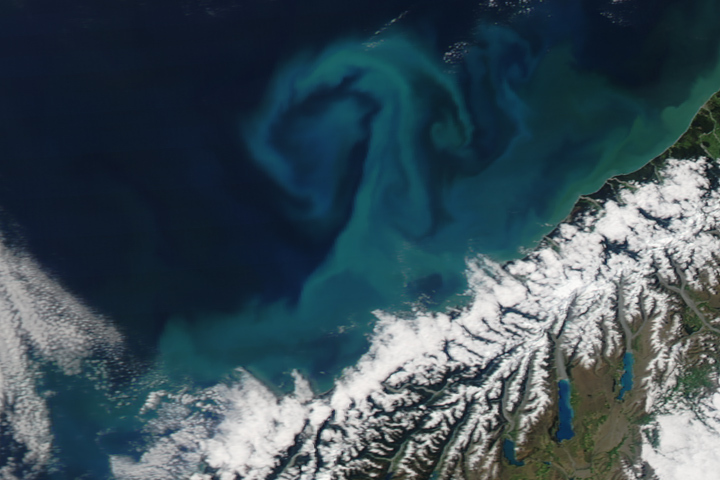 Marine Ecology Progress Series, 58, 161–174. Encyclopedia of Life Myrionecta rubra: overview. Accessed January 29, 2014. Owen, R.W., Gianesella-Galvao, S.F., and Kutner, M.B.B. (1992) Discrete, subsurface layers of the autotrophic ciliate Mesodinium rubrum off Brazil. Journal of Plankton Research 14 (1) 97–105. Skeptic Wonder blog (2010, June 26) Criminally photosynthetic: Myrionecta, Dinophysis and stolen plastids. 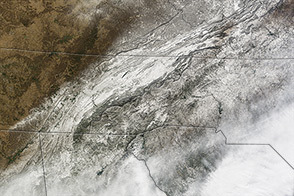 Accessed January 29, 2014.